Talk about thinking outside the box! Keith, one of our senior art directors, literally throws himself into his costumes every Halloween. For his latest creation (all made from scratch) he attached a fake head and torso to his back, covered his own head and torso in a white morph suit and stepped inside a cardboard box, which rested at his waist, and was filled with arms, legs and other random dummy parts. 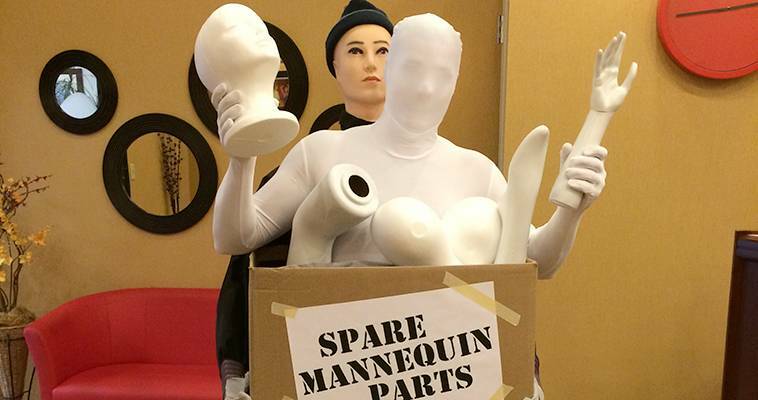 Three simple words appeared on its side: “Spare Mannequin Parts.” It was inventive and just a bit creepy—the perfect mix for a fun Halloween!